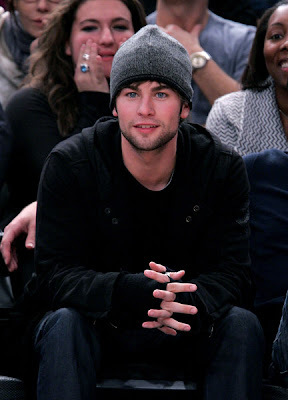 "Gossip Girl's" pretty-boy Chace Crawford joined Shane Dreary and Keri Russell at Dallas Mavericks vs New York Knicks game at Madison Square Garden on Monday. The same day Chace appeared on the Ellen Degeneres show talking about how he gets violated and groped by the girls. 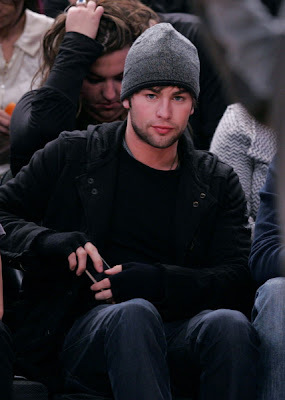 In the upcoming Christmas-themed episode of "Gossip Girl" (airs December 19) titled "Roman Holiday" Nate (Crawford) and Chuck (Ed Westwick) take a trip to Monaco.